What’s the easiest way to make your Florida residence safer for your family and possessions? 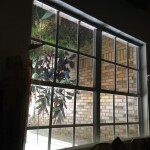 Make the windows stronger using security window films. A thief’s first target when they try to rob your home is going to be an unlocked door. But after that, it’s all about the windows. The fact is that even when your home is locked up tight, a burglar can still be inside in just a matter of second by breaking through a window, and often security alarms, even those designed to monitor such break-ins can fail or be worked around by the skilled criminal. 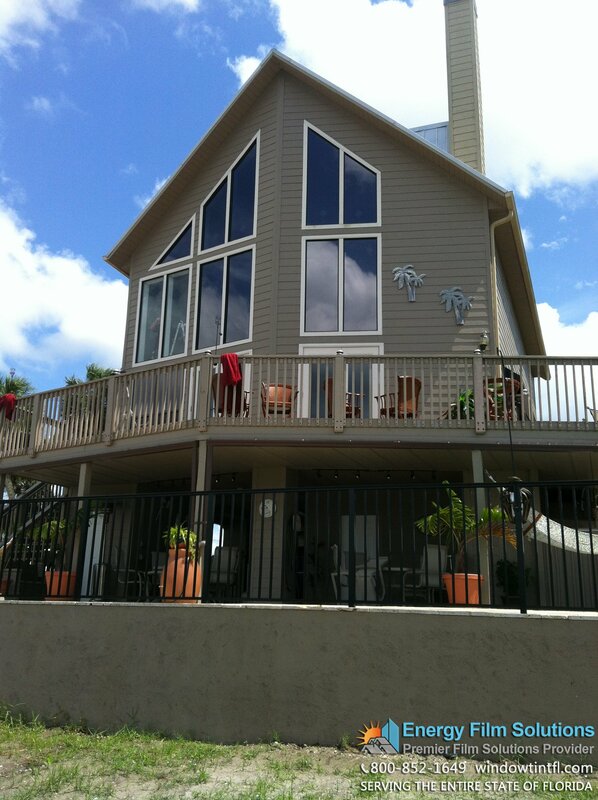 So what’s to be done other than covering all the windows of your lovely Florida home with big ugly iron bars? You want your home to look warm and welcoming, not like a prison! So instead of blocking off your home’s windows behind bars or grates, instead make the windows shatter-resistant and all but impenetrable using high the quality security window films installed Energy Film Solutions, the number one dealer of Florida security window film. 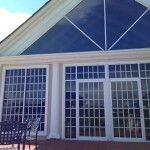 We have installed security window films for residential clients of all types: whether you live in a charming bungalow in Sarasota or whether you have a sprawling mansion near Miami Beach, we are ready to meet your needs and make your home that much safer, both for your family and for your valuables. 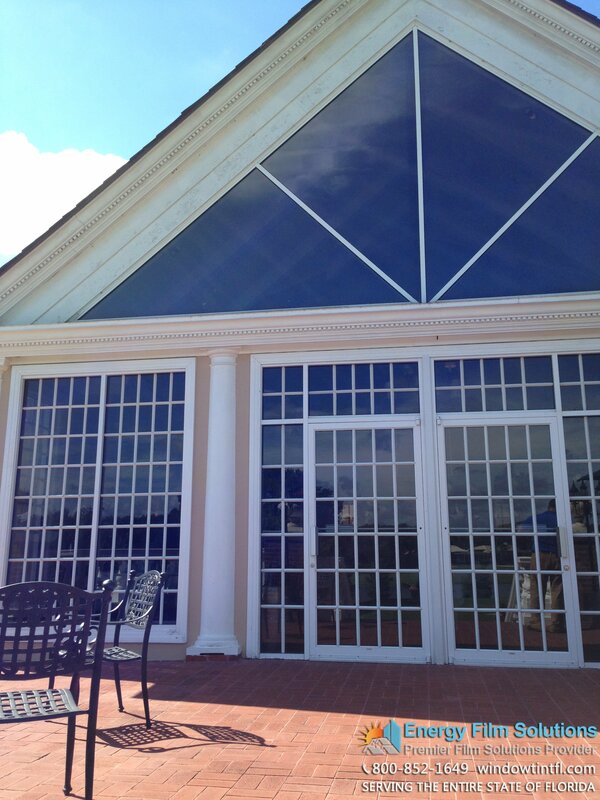 Energy Film Solutions is one of the fastest-growing Florida security window film installation company because we put our client’s needs ahead of our own profits and because each and every job we complete is a 100% customized project. No residential window film installation job is too small for us to take seriously and no window film installation project is too large for us to take on! We will work with you to study your property’s specific needs, we’ll recommend the best types of window film for your situation, and we’ll make you a detailed estimate of the project’s costs and timeframe all with no obligation to you at all! 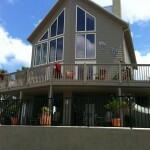 How exactly does security window film make your home safer? The windshield of your car doesn’t shatter thanks to a thin but potent layer of laminate laid across the surface of the glass; even when struck by an object or cracked in an accident, windshields won’t break apart into smaller, dangerous pieces – though the windshield may crack, no shards go flying and the windshield will stay in its frame. 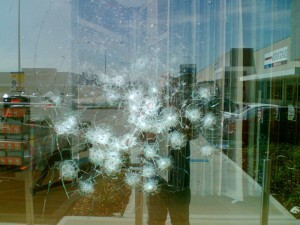 The windows of your Florida home can be just as strong as that windshield once treated with security window films. Security window film is applied to the glass of your home’s windows and, once securely in place, these films ensure that even when hit with an object like a stone, a crowbar, or the heel of a boot, your windows won’t break to pieces and won’t come flying out of their panes – the glass may crack, but it won’t shatter, and your home will remain secure. 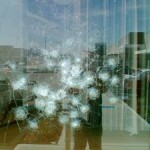 Safety film offers protection against thieves. 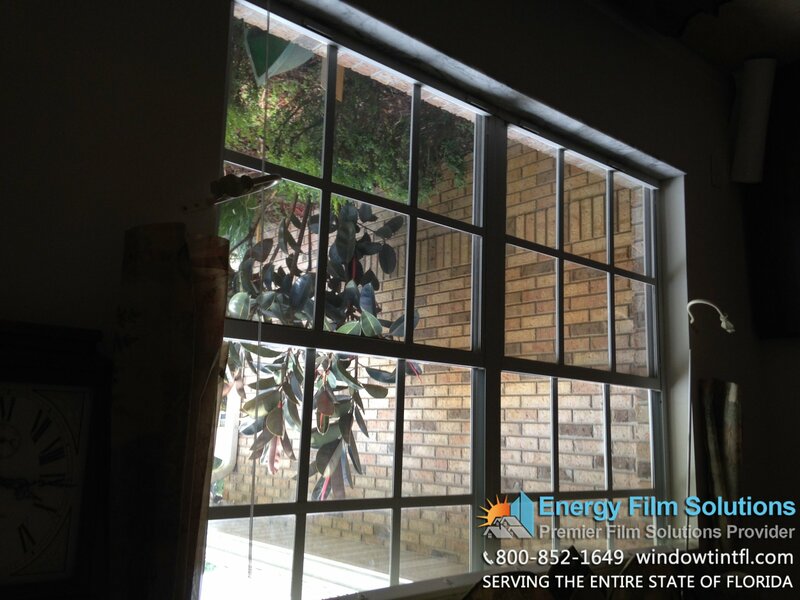 Once you’re the windows of your home are treated with security window films applied by the team from Energy Film Solutions, they will be all but unbreakable. As a window treated with security film won’t shatter when kicked or smashed, even a determined burglar will eventually give up their attempted break-in and flee before they successfully get into your home – in fact, entire window frame would need to be knocked from the wall before your window would offer entry, and no thief is going to take the time to do that kind of demolition work! A thief can certainly ruin the view through your windows by knocking holes in them and cracking them apart, but they won’t be able to break through and get into your home. We always tell clients considering security window film the same thing: windows can be replaced, but your valuable property and the wellbeing of your family can’t be. It’s more important to get security window film for your residence in Florida than it is in any other state in America for one simple but ominous reason: the turbulent weather. A hurricane can damage your home beyond repair by shattering your windows with windblown debris. And once the windows have been knocked out, in come thousands of gallons of rainwater to ruin everything it touches inside your house. Rather than having to board up your windows every time a hurricane or tropical storm comes swirling across Florida, window film lets you plan ahead by making your windows transparent yet at the same time strong enough to resist breaking apart even during Florida’s most violent storms. Your home, not to mention all the people and all the things inside it, will be made much safer and ready to “weather the storm” once you have treated the windows with security window film. A broken window creates an immediate safety hazard for anyone unlucky enough to be nearby when it breaks, especially for pets or little ones who might not know better than to stay away from broken glass. Security window films stop those dangerous shards of glass from spilling out across the floor by keeping the panes of glass intact even when they are cracked. Make sure that your home is safe to walk about in even during a gusty storm or after an accident or criminal act leaves your windows broken by calling the pros from Energy Film Solutions today!